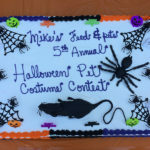 Pet Costume Contest Coming Soon! Posted in 2017	| Comments Off on Pet Costume Contest Coming Soon! Mike’s Feed and Pet’s new website will be up soon! Please come by again in a few days to see what’s new. Posted in 2017	| Comments Off on Our new website!